Things are not going right for Nvidia. They are not going right for many of the cryptocurrency mining rig manufacturers. With the downturn in cryptocurrencies, these rig manufacturers are not able to keep up their growth rate. Many of them are unable to sell the advanced cryptocurrency mining rigs which they have in stock. That is why the growth rate is tapering off. Nvidia faces the same problem. 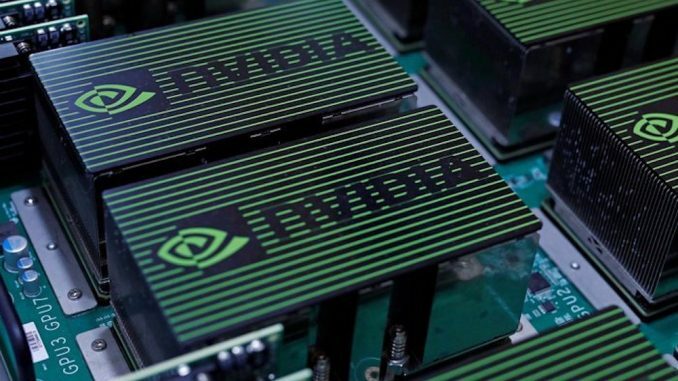 Softbank has invested $ 3.6 billion in Nvidia through its vision fund. In recent news, Softbank might sell its entire stake in Nvidia. The share price of Nvidia in recent times has fallen significantly. The lackluster cryptocurrency mining sales partly fuel it. It was trading around $ 290 in October. Currently, it is trading at around $ 146. Moreover, the Chinese slowdown is not helping Nvidia either. As a result, the growth rates in the company have tapered off. Also, most of the mining rigs are no longer profitable. Many cryptocurrencies like Ethereum (ETH) have fallen by more than 80%. This is why cryptocurrency miners are no longer interested in buying or setting up mining firms. The company had anticipated the growth to continue. That is why companies like Nvidia and Bitmain are finding it difficult to clear the stock. With the difficulty levels of cryptocurrency mining slowly going up, it is becoming more and more expensive for the cryptocurrency miners to run their mining firms. At the same point in time even on the current rigs, they are not able to generate any profit. The primary reason is that the year 2019 has not been good for cryptocurrencies either. While there have been some modest gains but those have been short-term in nature. That is why broad-based recovery in cryptocurrency prices has not happened. As a result, the demand for cryptocurrency mining rigs is still lackluster. In the foreseen future, it does not seem like the need for the cryptocurrency mining rigs is going to increase. It is a problem which can plague companies like Nvidia and Bitmain. It seems like Softbank’s patience is finally running out and they do not opt for any recovery or any positive news, anytime soon. It might be the reason why the Softbank vision fund has finally decided to sell its entire stake in Nvidia.